Iran denied a U.S. request to return a surveillance drone captured by Iranian forces while on a CIA spying mission, saying the country should first apologize for violating Islamic Republic air space. The U.S. spy drone is the Islamic Republic of Iran's possession, and our country will decide what to do in this regard, Iranian Defense Minister Ahmad Vahidi was quoted as saying by the semi-official Iranian Students News Agency. Vahidi accused the U.S. of acting in a bullying way rather than offering an apology to Iran and Afghanistan, where the aircraft was based. On Monday, President Barack Obama said the U.S. wants the top-secret aircraft back. We've asked for it back. We'll see how the Iranians respond, Obama said. Iran says it is gleaning valuable data from the drone; Iranian TV reported earlier Monday that Iranian experts were in the final stages of recovering data from the RQ-170 Sentinel, which went down in Iran earlier this month. Iran also says its armed forces downed the nearly intact drone, while the U.S. maintains the aircraft malfunctioned and was not brought down by Iran, Fox News reported. 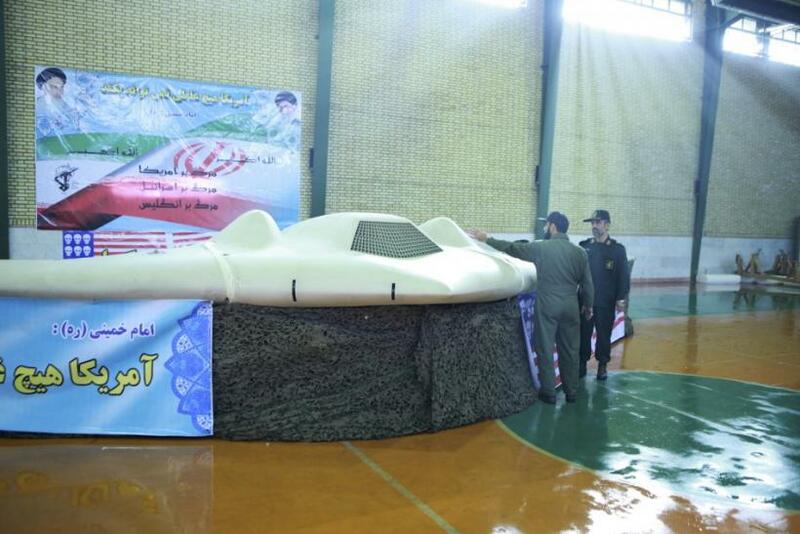 Nonetheless, U.S. officials doubt Iran's ability to gain technologically from reverse-engineering the drone. But they have expressed concern that Iran could offer the drone to China or other U.S. rivals that are building their own stealth aircraft, the Los Angeles Times reported. It's a little difficult to know just frankly how much they are going to be able to get from having obtained those parts, U.S. Secretary of Defense Leon Panetta said. I don't know the condition of those parts; I don't know exactly what state they're in. So it's a little difficult to tell what they are going to be able to derive from what they have been able to get. Panetta also said the request to return the drone was appropriate, though he doesn't expect that to happen. President Obama should not forget that the Iranian airspace was clearly violated by the U.S. drone and therefore the U.S. should first apologize for that, Iranian Foreign Ministry spokesman Ramin Mehmanparast told reporters in Tehran. We ask Mr. Obama how he and the U.S. would have reacted if U.S. airspace had been violated by a spy drone.